This is the last segment of our “building a custom home” series. A lot of the anxiety that occurs during the homebuilding process can be eliminated by asking lots of question of your builder and doing some research before you ever start the process. That said, we will cover some of the areas to be vigilant about and some of the realities to be prepared for to help you better manage this process. Since all custom home projects begin with financing, make sure that you have a thorough understanding on how your construction loan is structured. Keep in mind that this loan is needed to have the home built and will later be converted to a mortgage. In this day and age, you will have much more control over how the money is doled out to your builder. In the “good old days”, when a builder made a request, you could direct the bank to pay the draws to the builder. Now there are many more impediments before a draw is paid to your builder and you will be part of that process. So be sure to sit with your banker and have them explain all of the steps and make sure that their guidelines coincide with contract between you and your builder. In our first 3 segments of this series we discussed selecting your builder, lot and architect. In this one we will discuss coming up with the elusive “final price”! You thought all the hard work was behind you? Well think again because this process starts from the time the ink dries on the blue prints to the day you move into the house. So here is what to expect and some tips on avoiding the dreaded “cost overruns”! So you have a plan, agreed on the price with your builder, have closed on the loan, and have all of your permits…you are ready to start construction! Unfortunately the building process is not a science and there are things unforeseen or opportunities that were not discovered in the planning process that will cause you to go over budget. 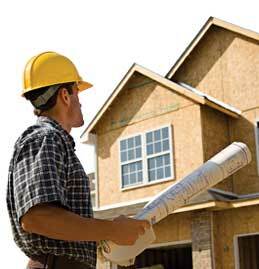 A word to wise… plan on a 5-10% cost overrun contingency during the custom homebuilding process. If you are fortunate enough to not encounter any problems and can avoid all temptations to “add that extra 5 feet to the screen porch” because it is cheap square footage, then you will feel like you just got a raise when you are done! Selecting an architect has become infinitely easier and much more affordable. With the advent of plan books and computer aided design known as CAD, you can now buy a ready to build set of blueprints at a very affordable price. However as we have mentioned in this series, don’t let price be the driver of your decision since the cheap way in could end up costing you more in the end…so let’s explore! The complexity or the uniqueness of the project will dictate whether you should enlist the services of an architect, a home designer that uses CAD, or buy a plan out of a plan book. If you have a unique home site with topographical challenges or a complex design, an architect is probably the way to go. If you’ve seen a home in a plan book that has most of your wish list but needs some tweaking and some of your own touches, the CAD designer may be the way to go. If you see a plan in a plan book that you love and has a floor plan that suits the way you live, then that is the route to go and the most economical. As mentioned in part one, selecting a builder is one of the most important aspects when building a custom home because he/she can also act as your consultant. So, if you have your builder lined up you are at a distinct advantage but if not, we can help guide you through the maze of purchasing your homesite. Everything starts with the land so be cautious when hunting for your homesite. The biggest mistake buyers make is purchasing a homesite on emotion before checking out all the technical aspects. What do I mean by this? You need to verify a number of things first and be sure to make your contract contingent upon satisfactorily getting all the answers you need before closing! So you want to build a custom home? This is a multi-part series that will cover topics such as choosing a builder, architect and homesite, going from plans to final price and finally what to anticipate during the construction process. First, I’ll help you select a builder. I think this is the most important step given that your builder will be a knowledgeable partner that can assist with the selection of your home selection and lot. Today, buyers have the luxury of being able to negotiate prices on homes. However, that strategy for negotiating changes when it comes to buying new from a builder rather than purchasing a re-sale. What is the biggest difference? A re-sale seller is dealing with equity, the difference between what they paid for the home and what they can sell it for. A builder is dealing with materials, land, overhead, plus profit, for a builder, equals sales price. The typical builder has the following expenses that all add up to 100%… land 18%, materials 50%, overhead expenses 15%, marketing 6%, permits, fees, warranty 3% and profit 8%. So, for a $200,000 house, the profit is only $16,000, not the mega bucks that most buyers think a builder makes. All the other costs are essentially fixed, meaning thatthe only place to negotiate for the builder is their profit line. The short answer is, it depends. If you a purchasing a home from a reputable builder that offers a long term warranty, has a pre-closing inspection process, has a warranty service department with a defined program and has allowed you access to the home during construction, I would say not. However if the answers are no or the house was in inventory and has been “standing for a while”, I would probably hire an inspector. I can’t say that builders welcome inspectors with open arms, since in their mind it questions their reputation, quality and integrity. However they have learned to accept the practice and in most cases have a policy and procedure in place to accommodate the inspection process. Some builders have their policy in writing and as a part of their contract. 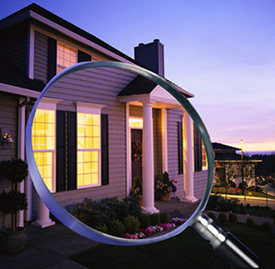 If there is no written policy be sure to discuss and include an addendum if you intend to hire an inspector. In my last blog post, I mapped out questions to ask your builder about the community when buying new construction. Now that you have settled on a location and community, I will help you, the buyer; determine what questions to ask about your future home. There is nothing like doing a little investigation on the builder first. Remember this is the biggest investment you will probably ever make so do your homework. The internet is a great place to start. Try Google, Facebook and even Twitter to see what is being said about the builder you are considering. Also, do a thorough examination of the builder’s website. Reputable builders will let you know who they are and what they have done. That said, the best research you can do is ride around a neighborhood on a weekend and chat with the neighbors…they will give you the real skinny on the builder. Whether you are using the assistance of an experienced Realtor or going it alone, there are some questions that you need to ask before you sign on the dotted line when buying new construction. Location typically plays a large role in the decision making process, so let’s explore questions you would want to ask if you are considering a development. First things first, make sure to find out who owns the development. Do not assume that the builder on the sign owns the development because often times the land is owned by a developer who is selling lots to the builder. In that case you would want to know who the developer is and are they financially sound? Those great looking entrance features, manicured common areas and community amenities are the responsibility of the developer until the majority of the development is completed. If the amenities and common areas do not look vibrant and well maintained, that could be the sign of a financially troubled developer. Your section may look good because the builder is subsidizing the maintenance in the section they are building but what happens when that builder is gone? What can I say…I’m a new homes guy. I grew up in the business and have been involved with new construction for 33 years, so I guess I’m partial to “brand spanking new homes”. Re-sales and new homes have always battled each other. Now there are two more competitors that have entered the ring and are getting much attention. 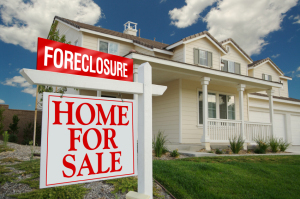 They are short sales and foreclosures. So how do you decide which is the best VALUE for you? The old adage that the cheapest price isn’t always the best deal holds true here. So, let’s take a look at your options. We’ll begin with the short sale which is usually a distressed property that the owner can no longer make the payments on. As a result, owners negotiate with the bank to let them pay off the loan at an amount lower than that of their mortgage. What is unfortunate is that, oftentimes, these owners cannot afford the negotiated monthly payment which means that they cannot afford to properly maintain the property. The result is disrepair. It may seem like you are getting a “deal” but after all the repairs are made…is it really? In addition most short sales are sold “as is” with no warranties, which means you have no remedy if there is a major problem with the home! To say however, that there are never warranties would be incorrect. Just be sure to specifically ask if the home comes with one.